How to read Harmonica Tabs? Have you ever asked yourself: How to read Harmonica Tabs? 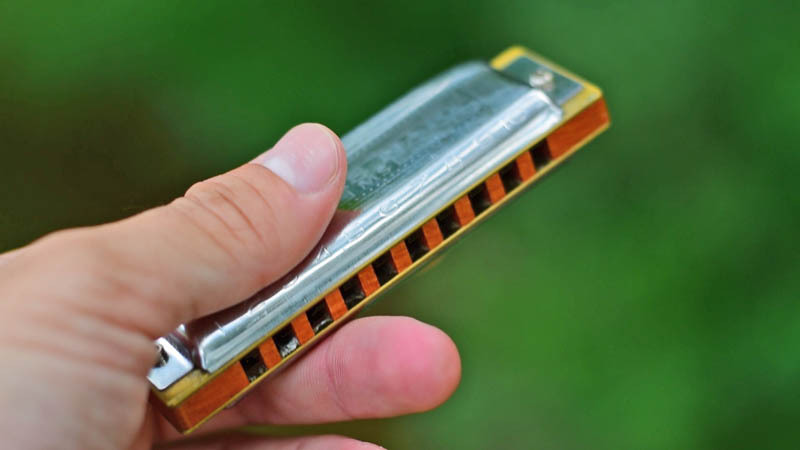 Harmonica tablature (Harmonica tab or Harp Tab) informs you which ones hole to experience, whether it’s a blow or draw note, and whether a bend or any other effect is needed. Within the system I personally use with my students, plain figures are blow notes and figures having a minus sign are draws. 1 How to Read Harmonica Tabs? Knowing how to read harmonica tablature, or tab, isn’t difficult. Harmonica tablature shows you which hole number on the harmonica to go to and indicates if you need to exhale (arrow pointing up) or inhale (arrow pointing down). When hole numbers are stacked, you play several holes. Holes you block with your tongue are shown as black rectangles. Harmonica positions are numbered 1 through 12. You reach the next numbered position on your harmonica by counting up five scale steps from the key of the harp. When you play more than one key of harp, the idea of positions is helpful.